I am so happy to share with you that I am starting a weekly newsletter service. Each newsletter will have all of the up to date information on Stampin’ Up’s news and promotions. I will also have my class schedule for both local and online events. In addition, I will include a FREE tutorial. This happy card is my featured tutorial in my newsletter this week. If you are not already subscribed, please make sure you fill on the newsletter form on the right hand side of my blog so you don’t miss out. Here is a closer look at this card. Every Saturday, I offer my Breakfast Club Class to my local customers. We make one stepped card and have lots of laughs. Some people make two of the same card because they can’t part with theirs. To order the products needed to create this project, just click on the products below. To download a free pdf, click here!! 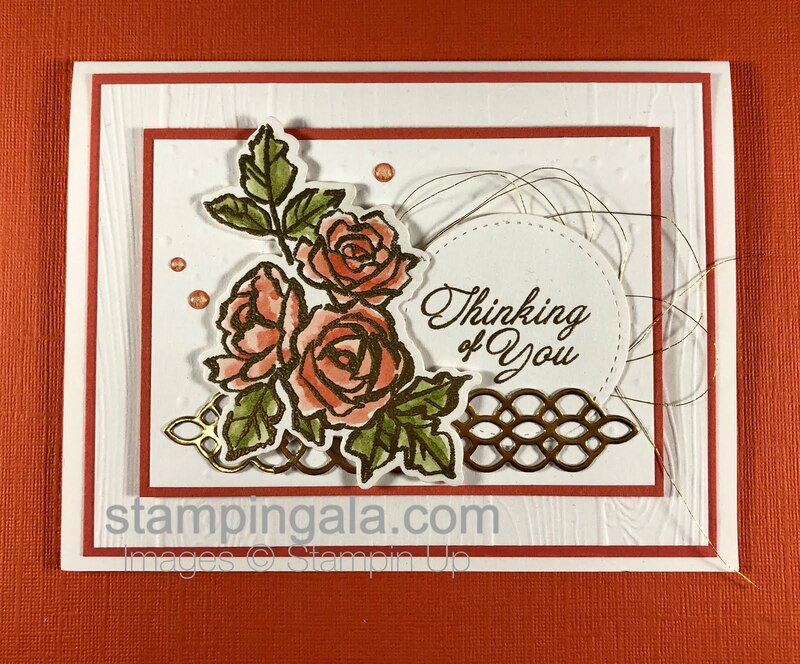 Petal Palette is truly one of my favorite stamp sets in the Occasions Catalog. I have to literally force myself not to grab this set all of the time. I chose gold embossing powder for the image as well as the sentiment. The Gold Foil die cut really ties it all together. You can purchase the stamp set and the framelits as a bundle and save 10%. Here are the products needed to create this card. 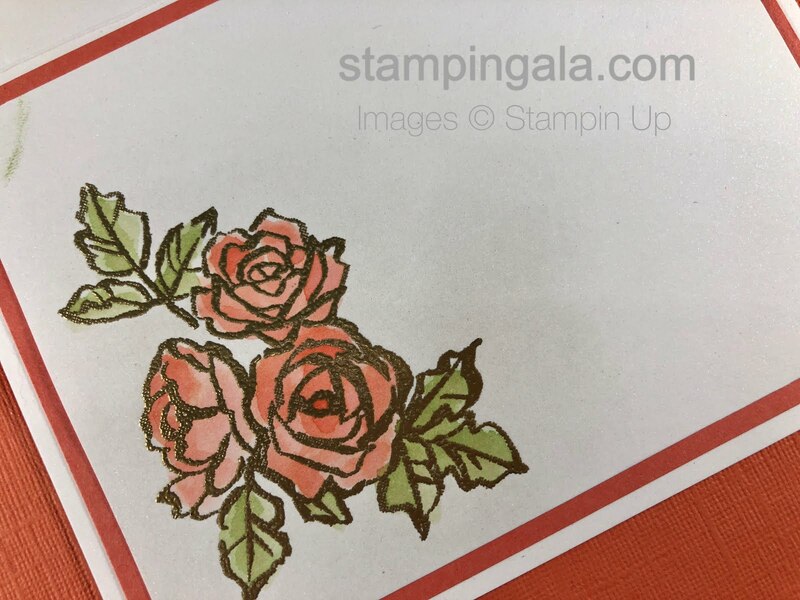 Click on the products to order from Stampin’ Up anytime!! This is the perfect stamp set to send a card “just because”. 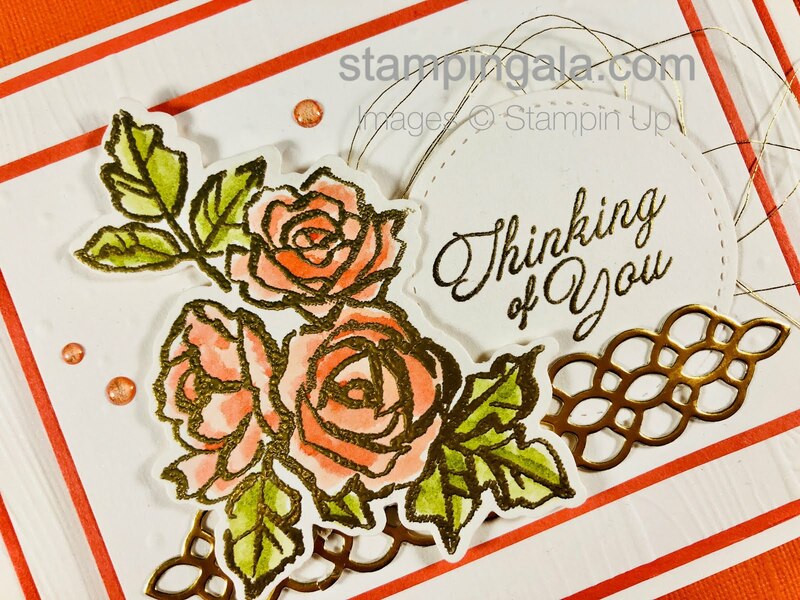 I am sure there are many people that you know that a simple “Thinking of You” card would put a smile on their face. It happened to me just this week. In fact, it was from someone I never met. Thank you so much Laura for doing that for me. If you haven’t heard, this stamp happens to be one of the FREE items from our Sale-A-Bration promotion. Simply spend $50 from my online store before March 31, 2018 and you can choose this as your free item. Not only that, I will send you my Painted With Love Valentine Tutorial as a bonus!! Did you notice the shimmer on the flowers? 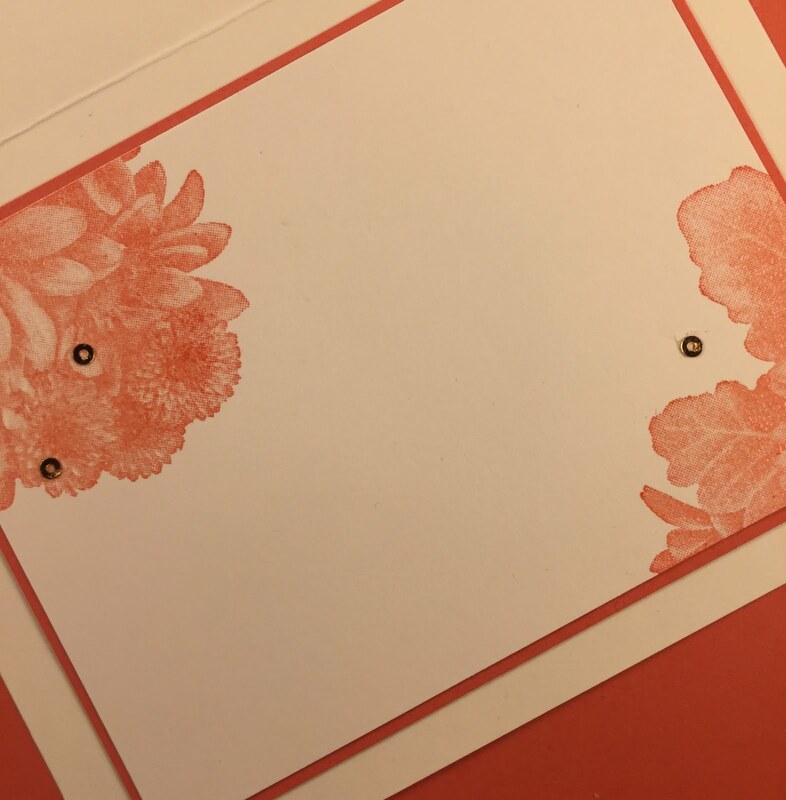 I achieved that look by inking up the stamp in Calypso Coral ink, stamping directly on the card stock and then sprinkling with Clear Embossing Powder. Next, I heated with the Heat Tool for the finishing touch.